Having posted the first teaser, first look and first video of XCM's Remapper for the Xbox 360, XCM has just announced the XCM Swapper for the PlayStation 3. 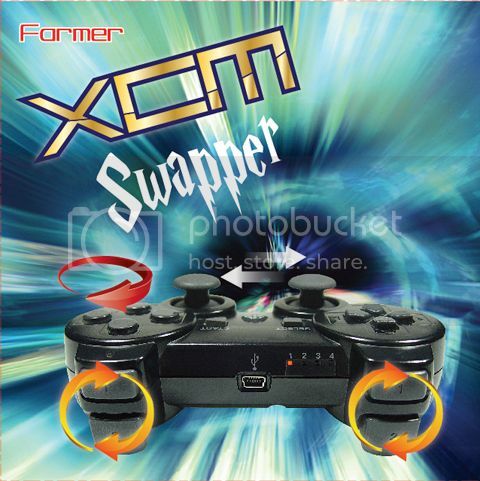 The XCM Swapper is the same as the XCM Remapper but for the PS3. It lets you remap buttons on the PS3 controller to how you want it. Many PS3™ shooting games do not give you the option to use L2 and R2 to aim and fire. But why be forced to use L1 and R1 to aim and fire if you're not comfortable with that controller setup? XCM Swapper gives you an option to swap those keys to suit your personal gaming preference. Not only can the triggers be swapped to however you want, but you can also swap any button (except PS Home button) to any position that you like. The XCM Swapper lets you do swap buttons that games won't allow you to do. Re-enjoy your games. No release date or pricing but Play-Asia will be carrying it when released along with Amazon. Guests online: 453. Total online: 453.